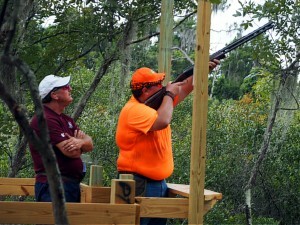 Sporting clays has seen a rapid ascension in the sports world in terms of popularity and participation in recent years. 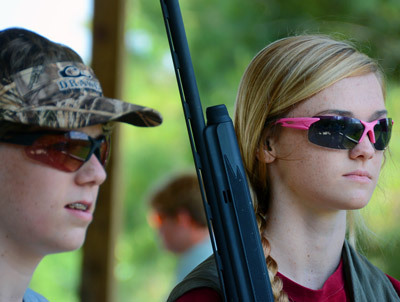 Novice and competitive shooters alike are flocking to sporting clays courses around the country, looking to get involved in this rapidly-growing shotgun shooting sport. 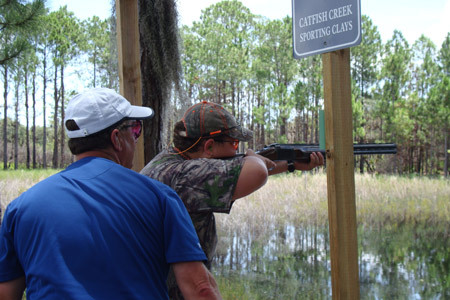 Now, Florida Sporting Clays helps make it possible for shotgunning enthusiasts throughout Tampa and surrounding cities in Central Florida to hone their shooting skills and consistently get better at breaking clay pigeons when on sporting clays courses, all while having a great time doing so. 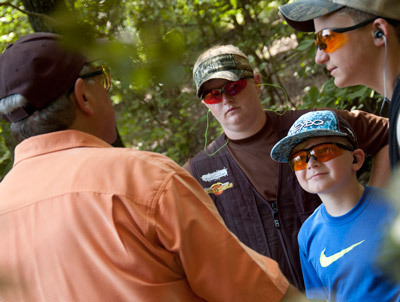 At Florida Sporting Clays, we offer instruction based on the Coordinated Shooting Method Teaching Recreational and Competition Shooting (CSM/TRACS) approach to teaching shotgunning to competition and recreational shooters. 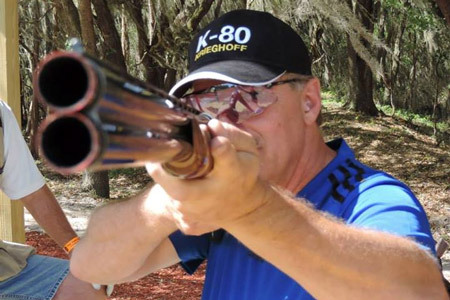 World-class shooting instructor and former Chief Instructor of the National Sporting Clays Association, John Higgins, developed this innovative, adaptive shooting method, and it is beginning to take the sport by storm. Instead of teaching a specific technique for shotgun shooting (such as swing through, pull away, and sustained lead), CSM/TRACS instruction teaches a unique shooting method that allows you to hit targets in the way that works best for you. What’s more, CSM/TRACS utilizes a targeted training system that will help you instantly know where and why you missed a target, which allows for simple self-correction and helps to eliminate the need for receiving long-term lessons from a shooting instructor. 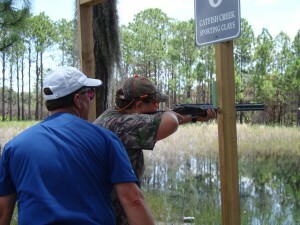 Florida Sporting Clays is owned and operated by CSM/TRACS-certified shooting instructor John Gangemi. John began shooting shotguns recreationally several years back, immediately falling in love with sporting clays. Now a certified instructor with the National Sporting Clays Association (NSCA) and a CSM/TRACS-certified shotgunning instructor, John is truly passionate about the sport and has a desire to teach shotgun enthusiasts in Tampa, FL, and other communities throughout Central Florida just how easy – and fun – it can be to rapidly improve their sporting clays game and general shotgunning skills using the CSM method. John offers clay shooting instruction to men and women who are 10 years or older and have the physical ability to shoot a shotgun. 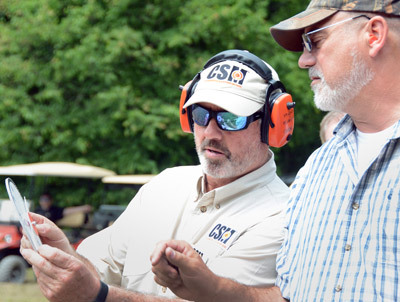 No previous shooting experience is required to learn the CSM method; in fact, it has proven to be equally effective for both beginners and veteran shooters. Whether you’re looking to break into the 90s or want to get your feet wet in sporting clays by learning a simple, effective shooting method, John Gangemi and Florida Sporting Clays can be your ticket to success. For further information about how we can help you to start busting more clays sooner than you ever thought possible through the Coordinated Shooting Method, please give us a call today. 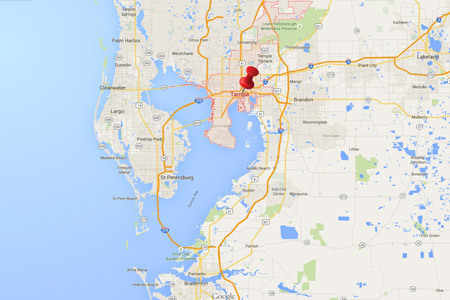 Individual instruction and group instruction, including for corporate outings, is available from Florida Sporting Clays at courses and outdoor gun ranges throughout the Tampa Bay area and across Central Florida.